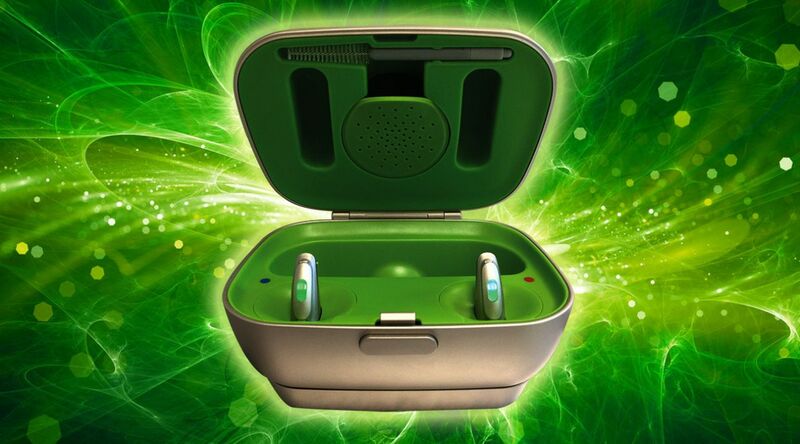 Phonak’s latest hearing technology, the Audéo B-Rs, are designed to simplify hearing and life. From settings that automatically adapt to the situation you’re in, to rechargeable batteries, the Audéo B-R audifiers are full of great features designed to make every situation easier . ​​ In this article, we outline some of our favourites. 1) They automatically adapt to your environment and the situation. The Audéo B-Rs detect and analyse the sound environment you're in, sampling every 0.4 seconds, and adjust their settings to maximise your hearing in that situation. The Audéo B-Rs are intelligent enough to identify where you are — whether you’re outside, in the car, in a busy public place, for example — and combine different settings to best match the place you’re in and the noises you’re exposed to. This means there’s no need to manually tweak the settings - it’s all done for you automatically by the built in digital chip. ​2) They can narrow in on speech when there’s interfering noise. Say you’re in a café filled with lots of background noise, including different voices, and you're struggling to hear what someone is saying… the Audéo B-R hearing devices automatically focus on the speaker to can help you follow the conversation more easily. It uses some very clever technology to do this, and one of our favourites involves it selecting the ear getting the clearest speech and copying it into both ears so you get a much more focused signal. 3) They can help us enjoy music again. Phonak have concentrated on refining the sound quality in the Audéo B-Rs, not only to improve the speech intelligibility, but also the fidelity of music. Combine this with the automatic situation detection (see 1 above), and you have a high quality hearing system that knows when you’re listening to music and optimises it for increased listening pleasure. 4) They can help you hear the quieter voices. Let’s be honest… sometimes missing bits of speech isn’t just our hearing - there are people who mumble or are naturally softly-spoken. These types of voices can be among the most difficult to make out clearly. 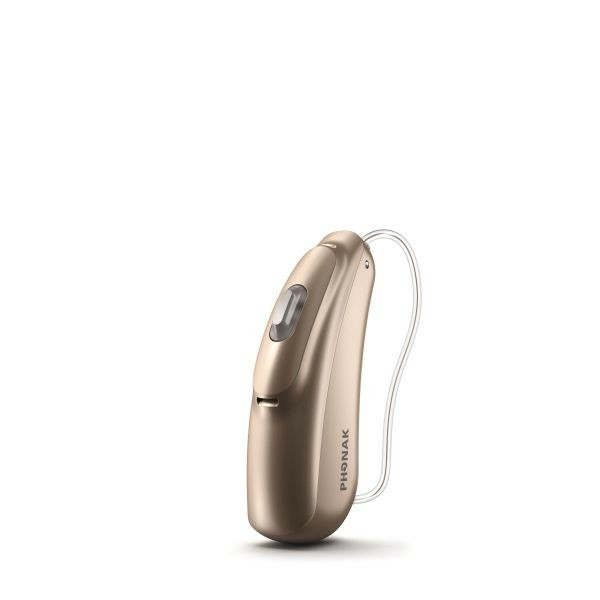 Phonak have improved their technology for soft-speech understanding by 10% in their latest models, including the Audéo B-Rs, to help with these types of situations. 5) Batteries are built-in and rechargeable. With the Audéo B-R, possibly the feature we’re most excited with is that they're fully rechargeable! This means you don't have the hassle of constantly replacing batteries, or them running out on you when you’re just about to hear something important. Just like a phone or tablet, you simply plug the Audéo B-R's in overnight for a full charge ready for morning. It only takes 3 hours of charging to provide a full 24 hours’ use. And if you’re in a rush, a quick 30 minute charge will give you 6 hours’ use. 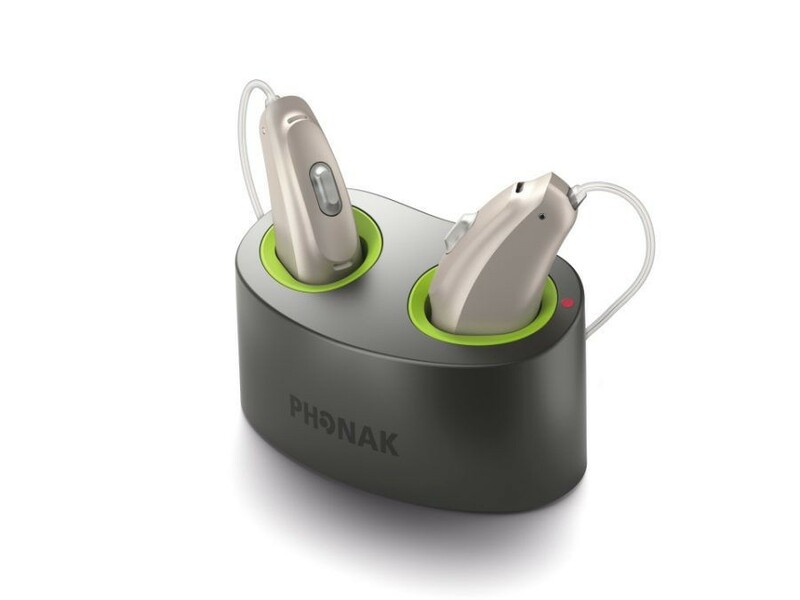 The secret to their quick charge is their lithium-ion battery - which Phonak tell us gives around 40% more power than conventional rechargeable batteries. This feature alone makes them very convenient and simple to use. 6) A choice of 3 charging options. First, the Phonak Charger Case (see top of page). Not only can you plug your Audéos into the case to charge them (when attached to a power supply) but your case also acts as a drying kit to keep the moisture at bay. 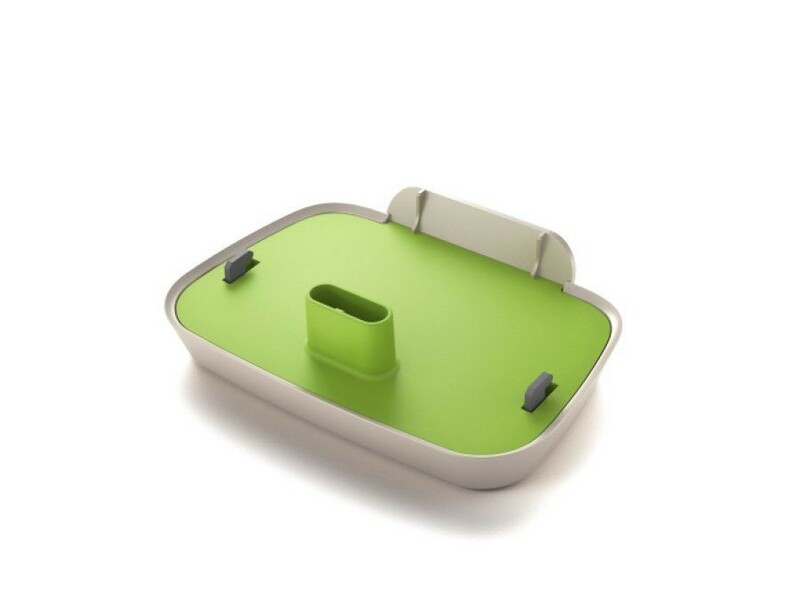 Second, the Phonak Mini Charger (shown left), ideal if you’re short of space or don’t need the drying kit option. And finally, the Phonak Power Pack (shown right) – perfect if you’re somewhere without a power source: simply plug the Power Pack into the Charger Case and you’re ready to recharge! 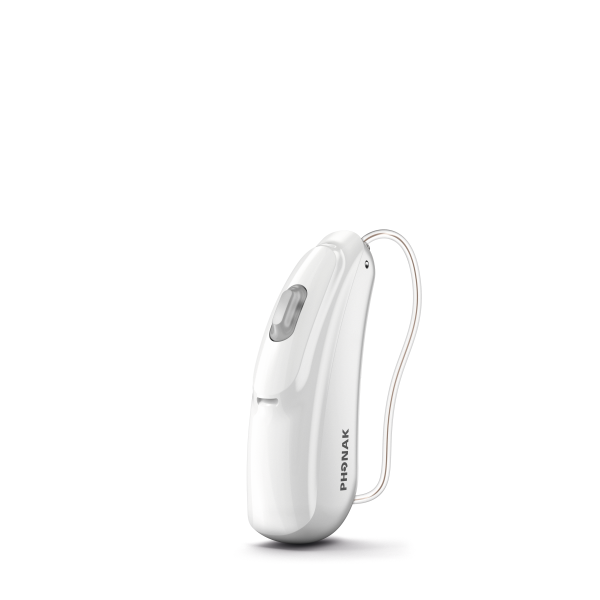 Interested in trialling the Phonak Audéo? 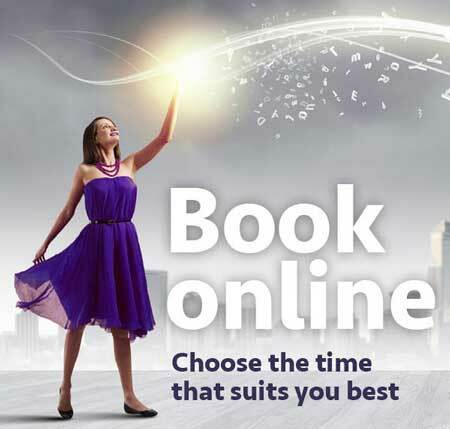 You can book an appointment below.